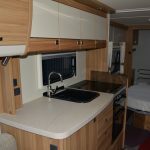 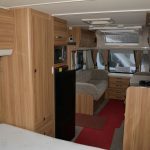 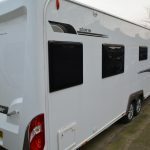 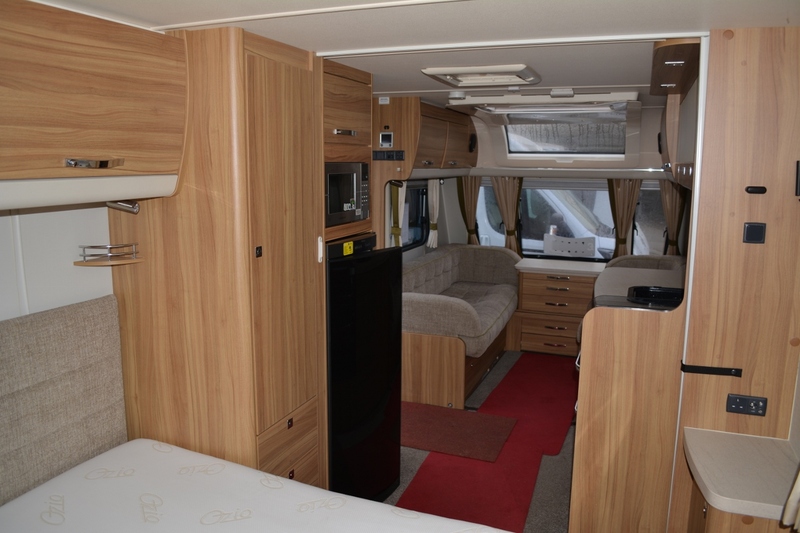 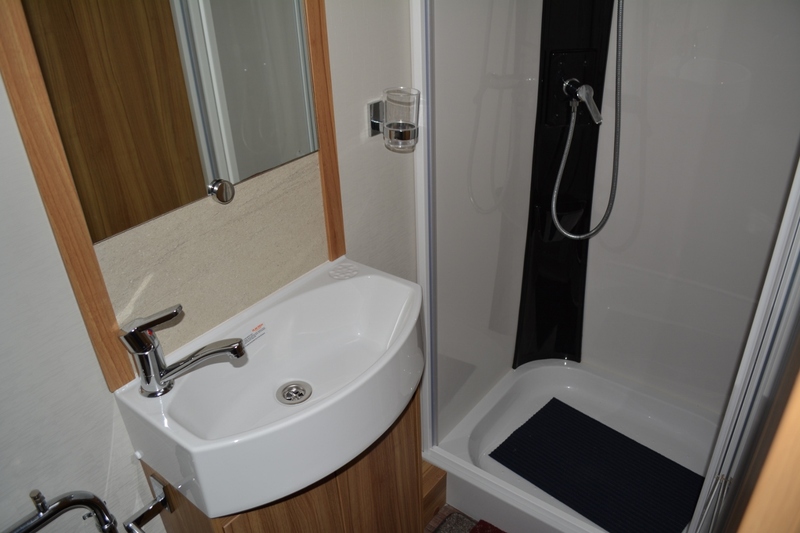 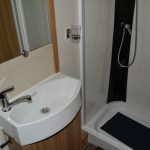 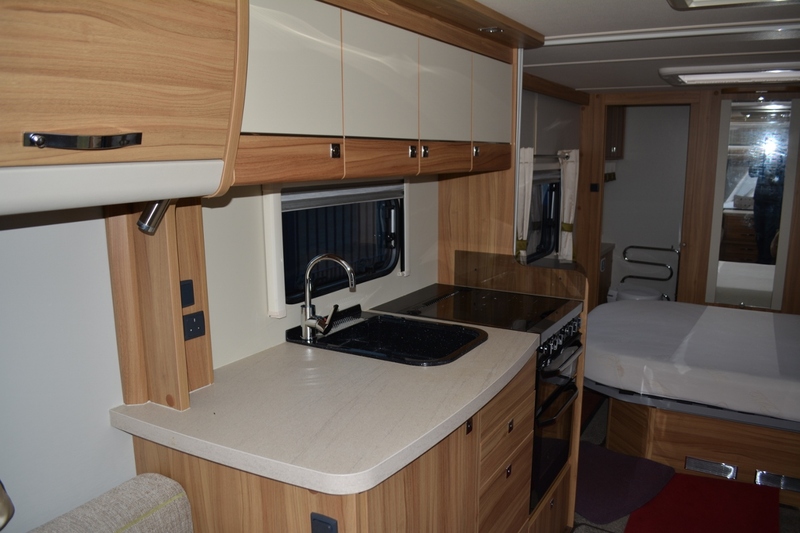 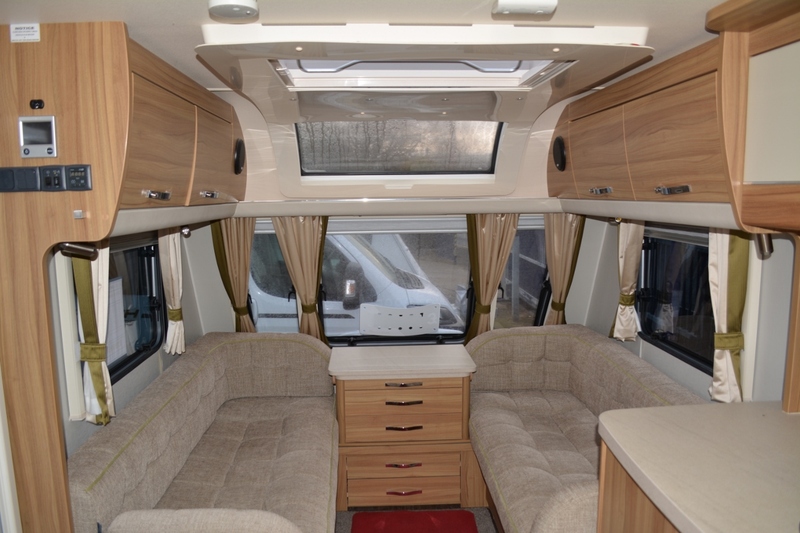 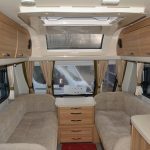 ……with a full rear washroom and separate shower. 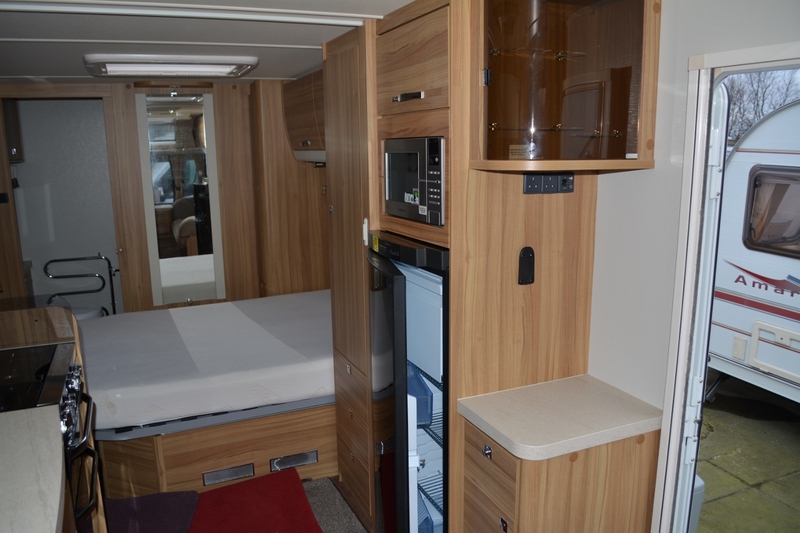 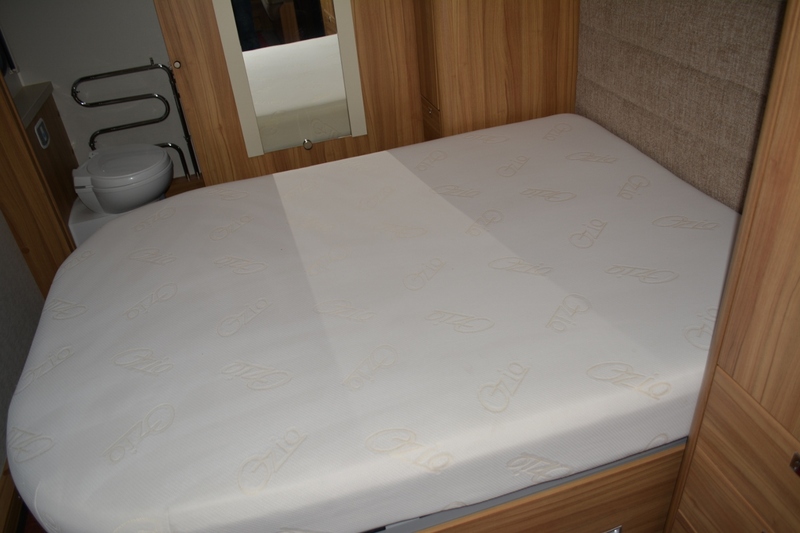 The luxury transverse island bed has a huge storage area beneath. 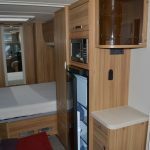 Full size fridge/freezer and built in microwave. 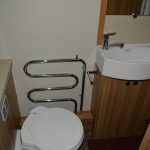 ATC fitted as standard. 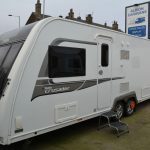 Immaculate condition throughout. 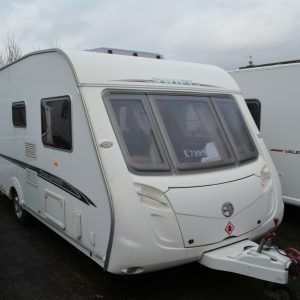 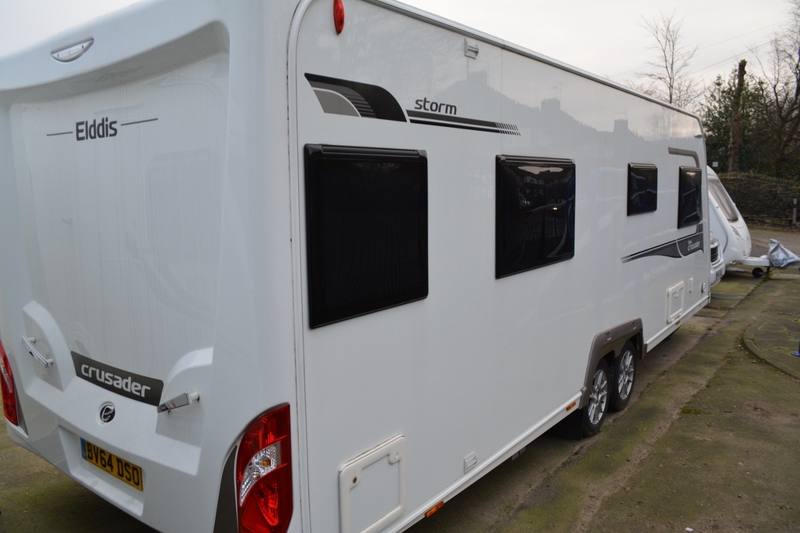 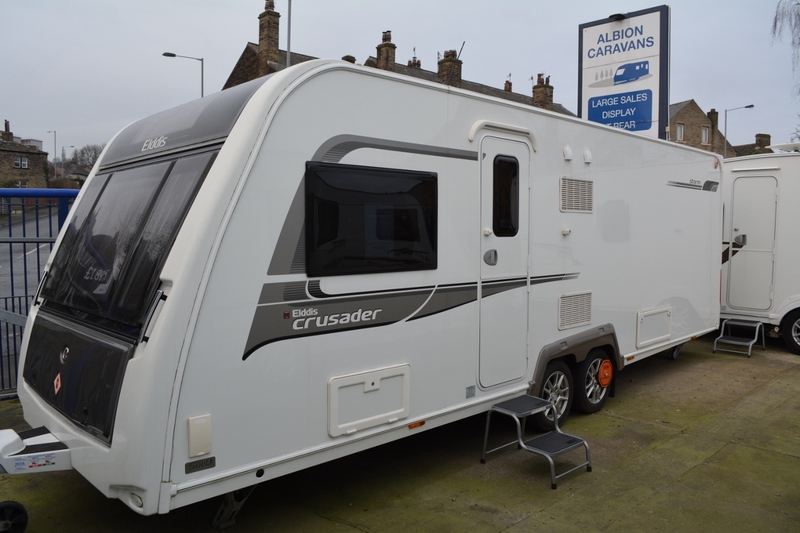 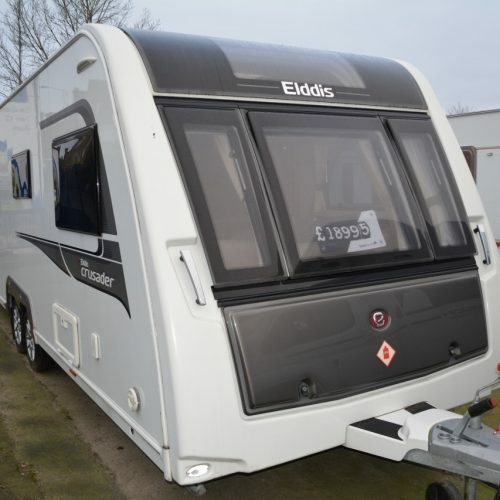 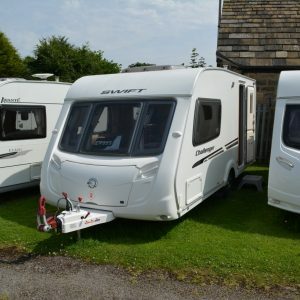 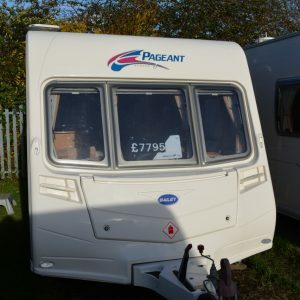 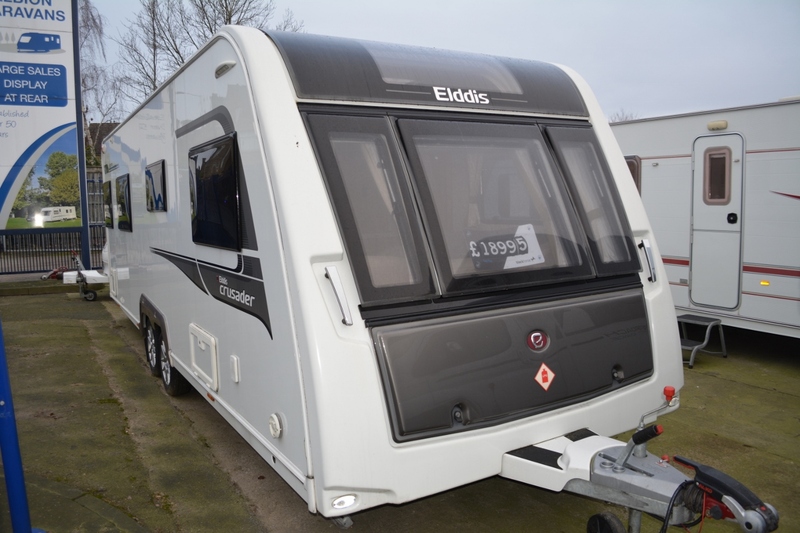 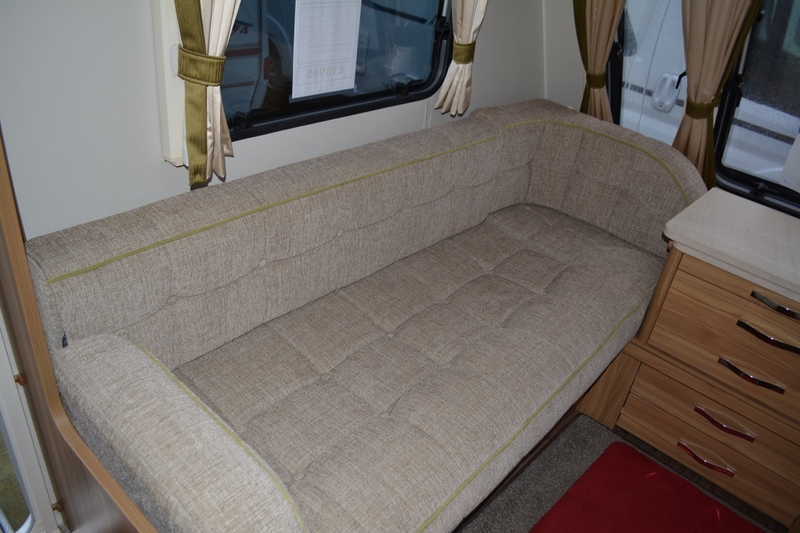 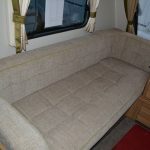 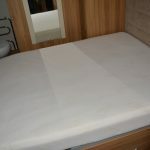 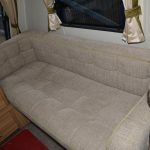 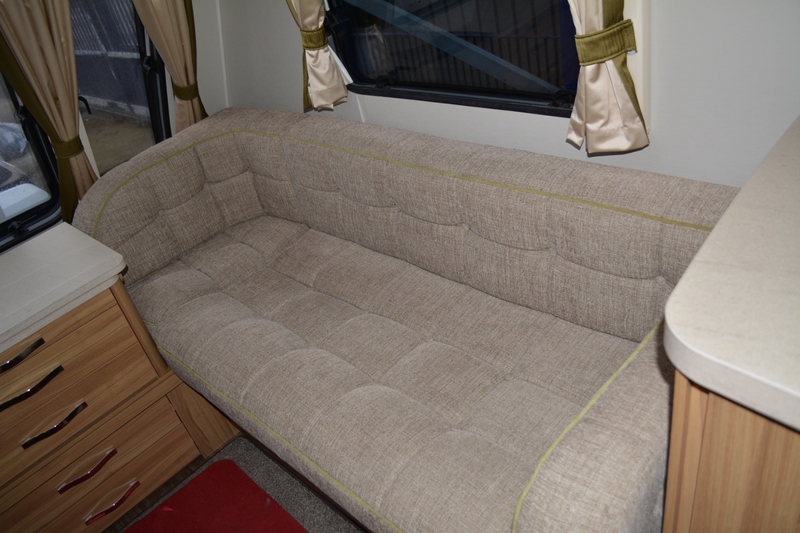 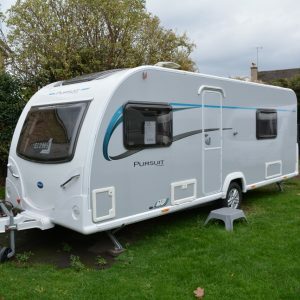 Category: 4 Berth. 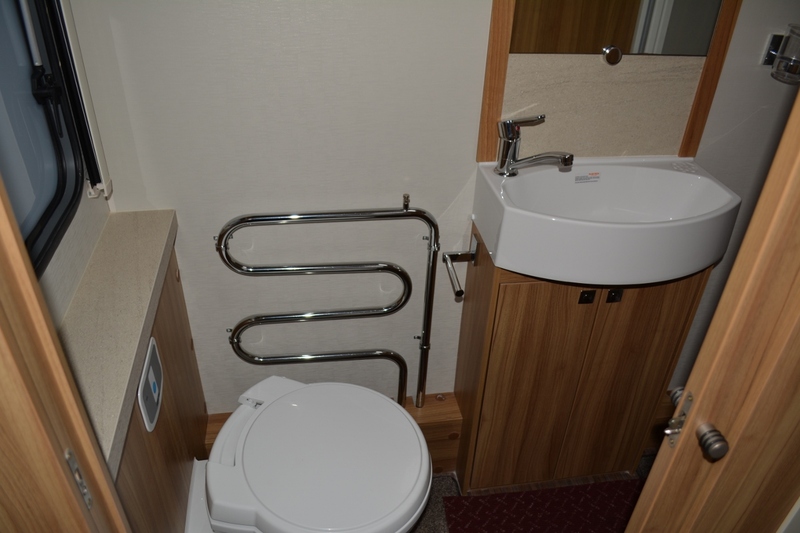 Tags: End Washroom, Fixed Island Bed, twin axle.